If there’s one thing we know about Meghan Markle, it’s that she’s #StyleGoals. 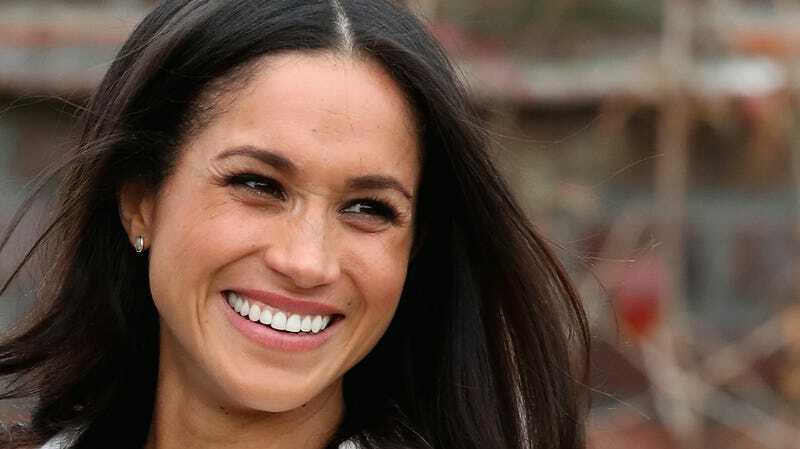 Meghan is new to the royal game, but her style has been creating lots of buzz (including around our office, where reviews are mixed but optimistic). One would have thought that by now a royal would have been nominated for a Teen Choice Award—especially since the awards have been around since ’99. But I guess no one in the royal family has been quite as stylish as Meghan; the new royal has been nominated for the coveted Style Icon award, along with Chadwick Boseman, Blake Lively, Harry Styles, Migos and Zendaya. Clockwise from top left: Meghan Markle arrives in Birmingham, England, on March 8, 2018; Markle attends Christmas Day Church service on Dec. 25, 2017, in King’s Lynn, England; Markle arrives at Edinburgh Castle in Scotland on Feb. 13, 2018; Markle during a visit to Titanic Belfast maritime museum in Northern Ireland on March 23, 2018; Markle attends an Anzac Day Service at Westminster Abbey in England on April 25, 2018; Markle attends the 2018 Commonwealth Day service at Westminster Abbey on March 12, 2018. While it’s cool that she’s nominated, I’m more interested to see if she’ll attend the event Aug. 12—or if she’ll at least send in a video message if she wins. I’m sure she’d be there if she were still a Suits star and not the Duchess of Sussex, but who knows what kind of rules and restrictions there are on royalty attending award shows? Although this is her first nomination as a royal, this isn’t the only award for which Meghan is being considered. According to Entertainment Tonight, Meghan was also submitted for an Emmy nomination for Outstanding Supporting Actress in a Drama Series for her work as Rachel Zane on Suits. Emmy nominations will be announced July 12. Meghan, Duchess of Sussex, attends a ceremony to open the new Mersey Gateway Bridge on June 14, 2018, in Widnes, England. But is the new duchess worthy of Style Icon status yet? Honestly, I think Meghan’s got a fair chance at winning—but she’s up against some pretty stylish celebs.